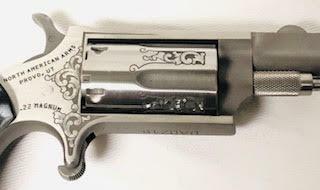 New in Box NORTH AMERICAN ARMS .22Mag “Talo Edition” Engraved 1 of 300. 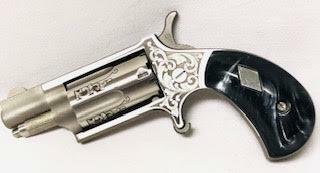 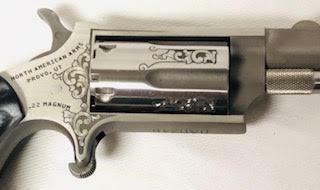 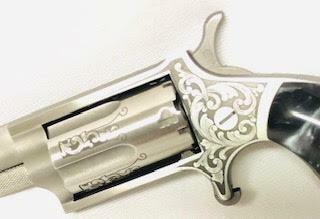 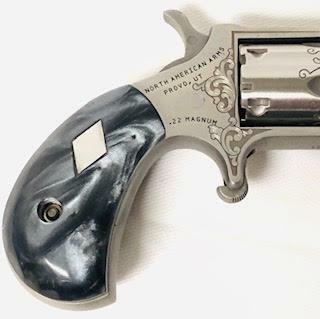 1-1/8″ Barrel, Pearlized Composite Inlayed Grips, Receiver & Cylinder is Polished and Custom Engraved. 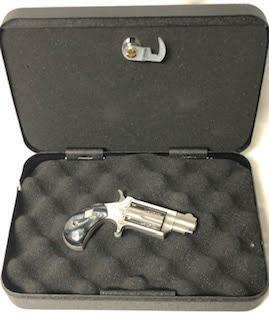 Includes Factory Locking Metal Pistol Case, Lock & Manual.